The spacious apartment is very suitable for longer stays, nights and as temporary living space. The apartment has a living room, bedroom, workspace with desk and a spacious kitchen. It offers you all the comforts ranging from Wifi, TV and washing machine to a rich kitchen equipment. It also has a separate bedroom, a bathroom and separate toilet room; all sanitary facilities are at your private disposal. 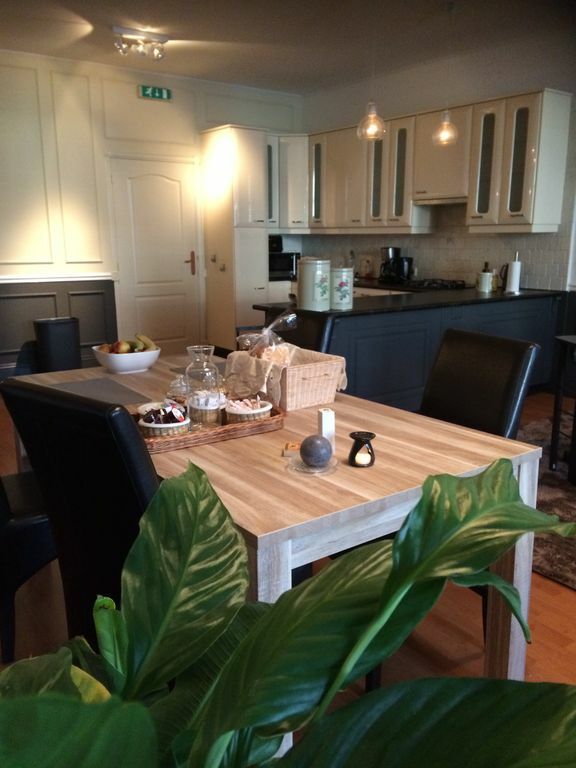 The apartment is located in the heart of the city center of Zaltbommel with shops and restaurants within walking distance. Zaltbommel is less than an hour away from Amsterdam, Rotterdam, Utrecht, Eindhoven, Nijmegen and Den Bosch. Welcome and enjoy Zaltbommel and its green surroundings! The apartment is in the center of the city within walking distance of shops and restaurants, come enjoy the culinary possibilities. Zaltbommel is centrally located in the Netherlands. Find the big cities from Zaltbommel and enjoy the peace and space that Zaltbommel and its green environment offers.